On the 5th December in Nivala water fog lay still in the air at -7 C temperature. 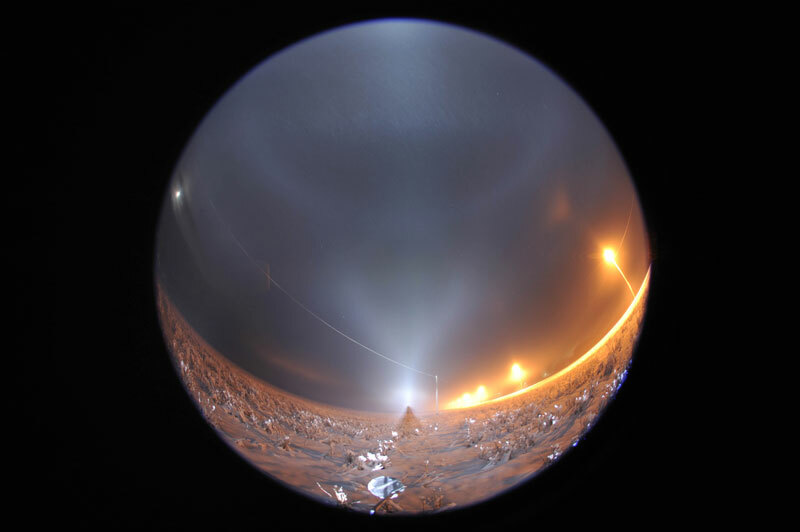 So conditions were perfect for testing the halo gun which sprays water-kaoline mixture to initiate ice nucleation ( 1 ). The spray was carried to nearby field where it started rapid transformation of fog into diamond dust. 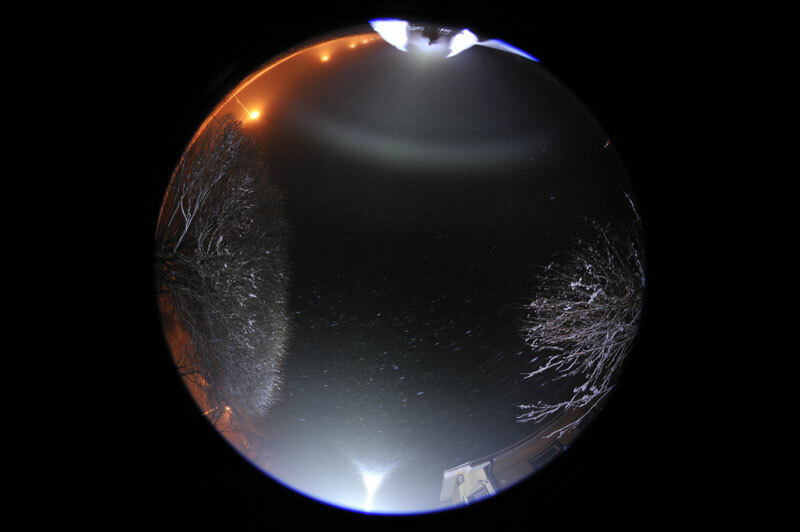 In the beginning a fogbow was present at the same time with halos ( 2 ) but as ice nucleation proceeded, only column crystal halo display was seen in the spotlight beam ( 3 ). 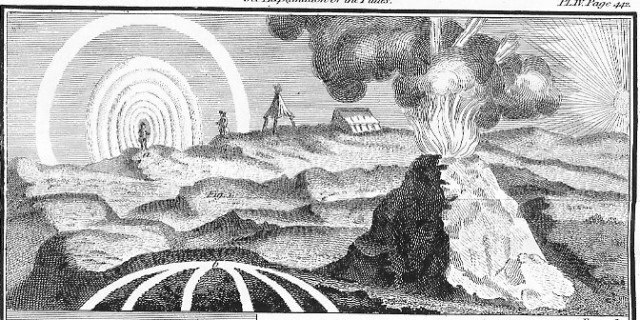 A couple of old observations depict an apparent fogbow observed simultaneously with halos. In such a situations it has been called as Bouguer's halo. The observation from which the name originates, however, is without halos. It was made in Peruvian Andes in 1735 by explorers Pierre Bouguer and Antonio de Ulloa. The drawing made by Ulloa features also glory ( 4 ). Seeing Bouguer's halo, i.e. fogbow together with halos, is not easy, because ice crystals and fog droplets tend not to occur together in suitable mixture. And even if the mixture is right, fog may be too thick for sun or moon to shine through. In that situation a bright spotlight gives an advantage. Good catch, Mikkilä! Bouguer has been on my agenda since last winter, but you succeeded first. Congrats! Bougers halo I remember reading about that in a book in school about rainbows halos and other optical effects. I noticed your column crystal halo shows the sun pillar threshold which shows the clear blue boundry. Yeah, Mikkilä, good catch indeed! There has been a few occasions over the years on autumn mornings when a high cloud halo could have been accompanied with a fogbow - a Bouguer halo, that is - but I never succeeded in seeing one. The Bouguer seems to have a secondary Bouguer and supernumerary as well. This display is also further advancement in proofing that displays equal to snow gun displays can be created with just 10 liters of water and a teaspoonful of kaolin.